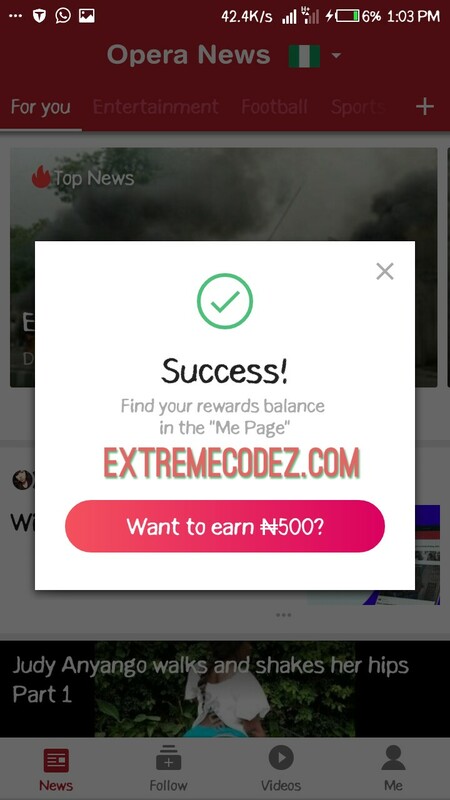 Hello guys, Few days ago we posted about the new Opera news app that gives you unlimited free airtime through its new referral program. But the fact is not everyone is good at referring friends, however we are here with a working trick which will help you get as many airtime/credit as you like without trying to refer anyone to download the app. With "Opera News App" you can make a lot of airtime without spending a dime in buying recharge cards. 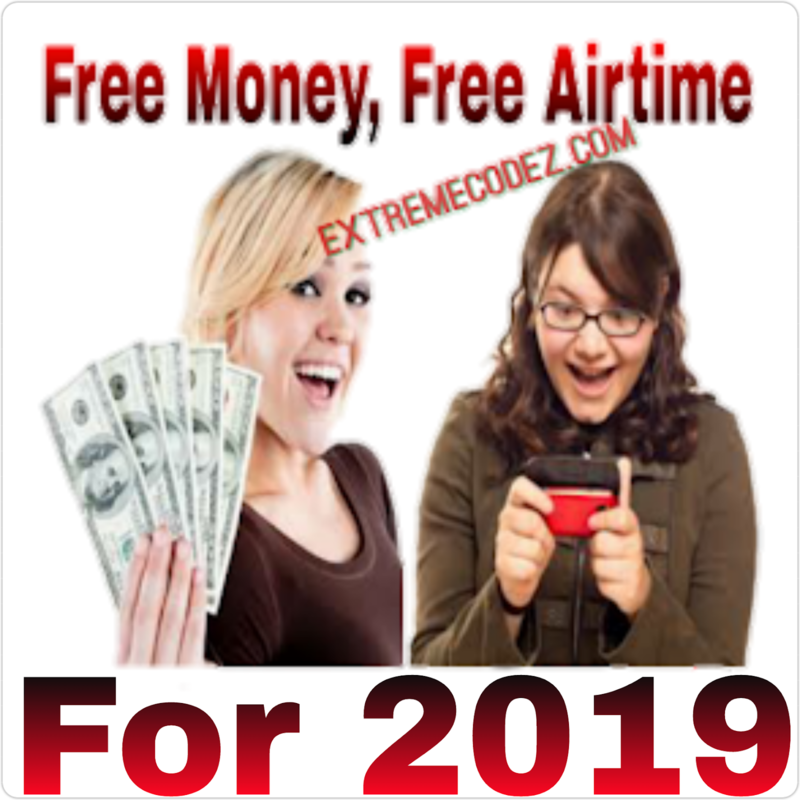 This free airtime, can be used for data subscription and calls to any other networks of your choice in Nigeria and international. One good thing about it is that you can send your Airtime made from the app to any number regarding the network, it's cool right? Yes! Opera News is an app designed specifically to entertain users by sourcing interesting News, entertaining videos and other entertainment, technology, business, crime, sports, politics, lifestyle, football and motoring from different website’s feeds. We all know Opera is a browser but this Opera News is not a browser. Opera News now gives free N25airtime when you download the app and when you refer, you get N50 airtime while your friend gets N25. 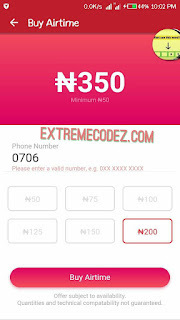 Minimum to buy airtime to any number is from N50, N75, N100, N125, N150, and N200. 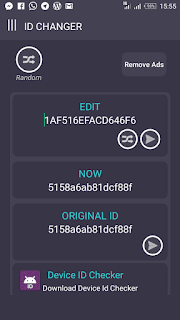 The app also supports countries like Nigeria, South Africa, Ghana, Mali, Cote D'lvoire,Burundi, South Sudan, Madagascar, Chad, Guinea-Bissau, Cape Verde, Sao Tome, Rwanda, Malawi, Niger, Guinea, Senegal, Burkina faso, Benin,Dr Congo, Uganda, Cameron, Zambia, Zimbabwe, Angola, Mozambique, Tanzania, and Kenyan so you can get free unlimited airtime/credit if your from or in the listed country above. When you download the Opera news app, you'll get free N25 airtime at first, then when you refer a friend to do the same, you get free N50 airtime. But things are about to change with this trick, start preparing for unlimited free airtime. To get this trick working we will need two smartphones, so let's name them Phone-1 and Phone-2 for the sake of this tutorial. The first step is to use your Phone-1 referral link to download Opera news app on Phone-2. You will get ₦50 airtime on Phone-1, while Phone 2 will be given ₦25 credit. Now, uninstall Opera News app from Phone-2, then download ID Changer on it. 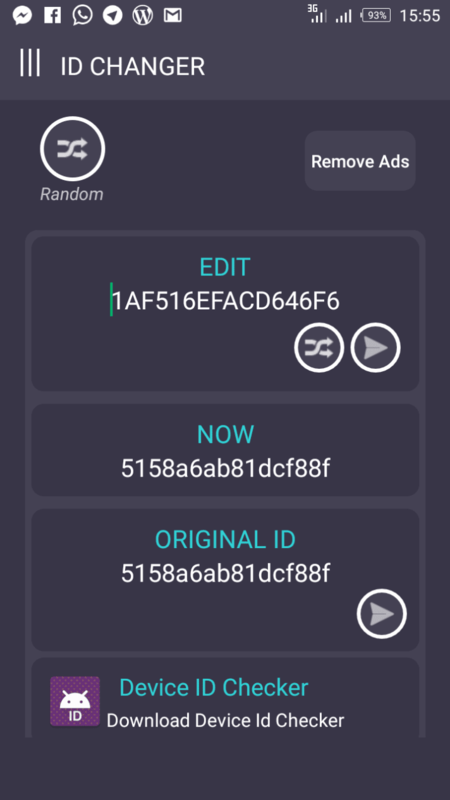 It is a safe app to change your phone ID, but write down your original phone ID so you can reverse back after using the trick. After changing your ID, download Opera News again using your Phone-1 referrals link and you will get another N50 airtime. 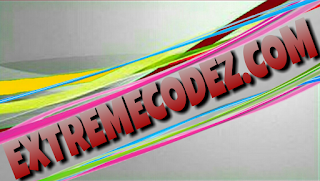 Continue repeating the steps to get more and more airtime which you can use to call, text, browse and subscribe. 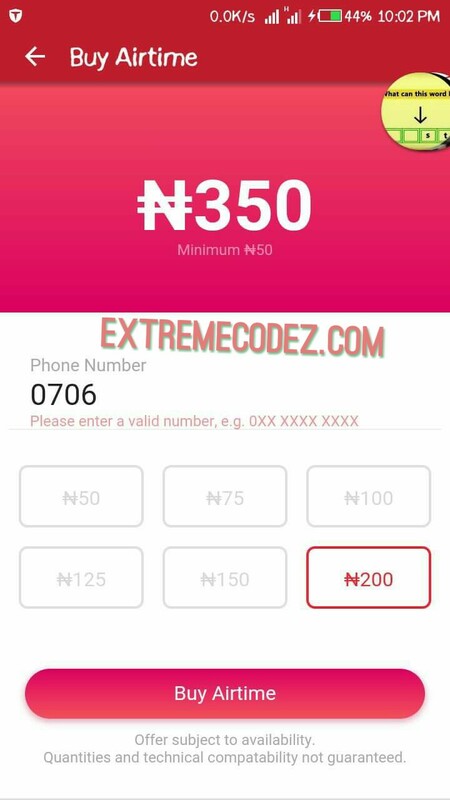 To withdraw your airtime, simply launch Opera News app, tap on the "Me" button at the far bottom-right corner, click "My Balance", select "buy airtime", choose the amount you want and type your phone number. yesternight I followed the guide on opera new airtime trick and it works like charm, from I was able to accumulated from #300 to #1100 the problem now is I tried to buy airtime but it keep saying unable to purchase airtime. pls what could be wrong?